Be sure to add these to your stockings this year! 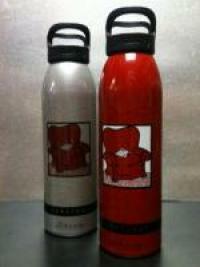 The ONLY metal water bottle made in the USA, and in our very own town, no less. Thanks, Liberty Bottleworks, you guys did a great job! Read more about Inklings Liberty Bottles! 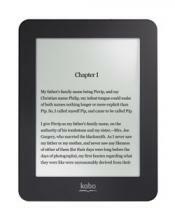 Inklings is giving away a free eReader KoboMini to introduce our new partnership with Kobobooks! 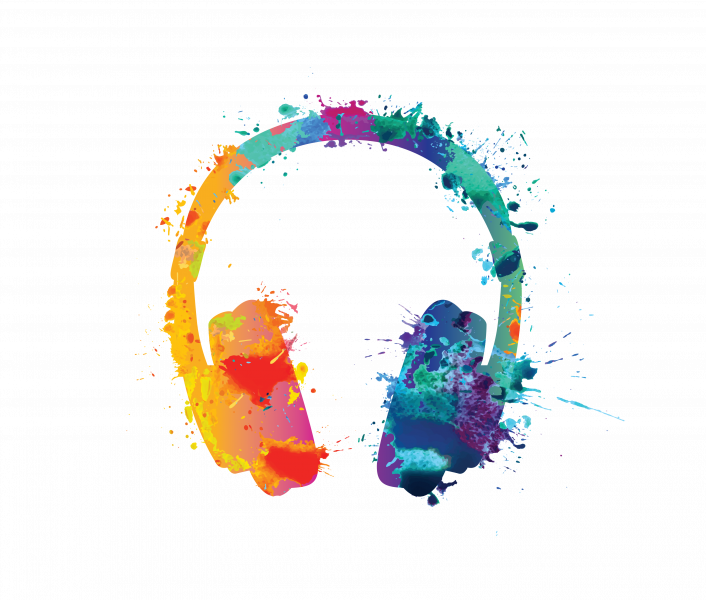 With Kobobooks, you have access to millions of books for your eReader, iPad, iPhone, KoboGlo, KoboMini, Nook, Android, etc! 1) Follow this link to be entered to win. 2) No credit card information is necessary to enter to win! 3) You will instantly have access to millions of ebooks on your existing reader, or you can purchase a new ereader in the store. 4) Signing up via the inklings link guarantees that your future eBook purchases will continue to support your local bookstore! The winner will be chosen on Monday, November 26th and posted in the store. You must come into the store to see if you have won, if the eReader is not claimed in by Sunday, December 2nd, a new winner will be chosen! Note: If you already have an account with Kobo, please send us an email with the title “Kobo Giveaway” and include the email account that you use with Kobobooks, and the approximate date that you joined! We’ll add you to the drawing, and your future eReader purchases will help support your favorite local bookstore! Be sure you register for an account through our web-site BEFORE attempting to log-in via your device! Read more about eReader Giveaway! Small Business Saturday is a day for everyone — from the business owners who create jobs to the customers who buy locally — to support small businesses that invigorate the economy and keep communities thriving. 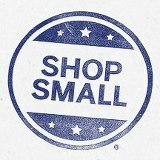 It began in 2010 when American Express founded Small Business Saturday to help small businesses get more exposure during one of the biggest shopping weekends of the year. Last year, over 100 million people came out to shop at independently-owned small businesses on the day. Now, in its third year, Small Business Saturday will be even bigger. American Express is offering free and easy-to-use tools to help small businesses get the most out of the day and tools for consumers to show their support. When is Small Business Saturday? Next weekend, Saturday the 24th, alllll day. Have more questions? Here's a bunch of FAQ's that might help you. You can look for participating businesses here. Enrollment starts November 18th. Like their Facebook page to get reminders. The PNBA (Pacific Northwest Booksellers Association) Holiday Catalog is W-O-N-D-E-R-F-U-L. All the books included have a special front-and-center location at the store. Right in front of the counter, for all to see. It'll be easy as pie to pick out that perfect Christmas present for that special someone on your list. We are even making a list of books to hand out to you, if you need a few pointers. It will include what we recommend for: dads, grandmas, moms, kids, bosses, etc. Look at the Holiday Catalog now, and get ahead of that Christmas shopping. Don't forget, we have beautiful red wrapping paper and would LOVE to wrap your books, complementary, of course. In the future, in a world baked dry by the harsh sun, there are those who live inside the wall and those, like sixteen-year-old midwife, Gaia Stone, who live outside. Gaia has always believed it is her duty, with her mother, to hand over a small quota of babies to the Enclave. But when Gaia’s mother and father are arrested by the very people they so dutifully serve, Gaia is forced to question everything she has been taught to believe. Gaia’s choice is now simple: enter the world of the Enclave to rescue her parents, or die trying. Tom, a 14-year-old genius at virtual reality games, is recruited by the United States military to begin training at the Pentagon Spire as a Combatant in World War III, controlling the mechanized drones that do the actual fighting off-planet. New Children's Section is DONE! 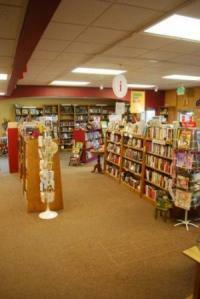 Come into the store and take a peek at our new expanded Children's secion. There is SO MUCH room! We love it! Thanks to Tri Ply Construction for their cheerful, professional, craftsmanship! 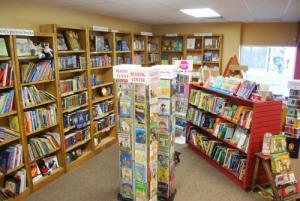 Read more about New Children's Section is DONE! 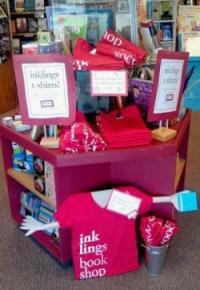 Read more about Inklings 12th Anniversary!